And here is the results it gave me…… So, not only does it give you a list but it’s also rated according to facebook likes, user ratings, the ease of use, and many other things. There is also a menu on the right that allows you to pick what kind of operating system you are using or which type of mobile device and it will filter your results accordingly. I thought that was pretty awesome. It’s a very user friendly website and best of all, it’s a free service to find what you want on the web. 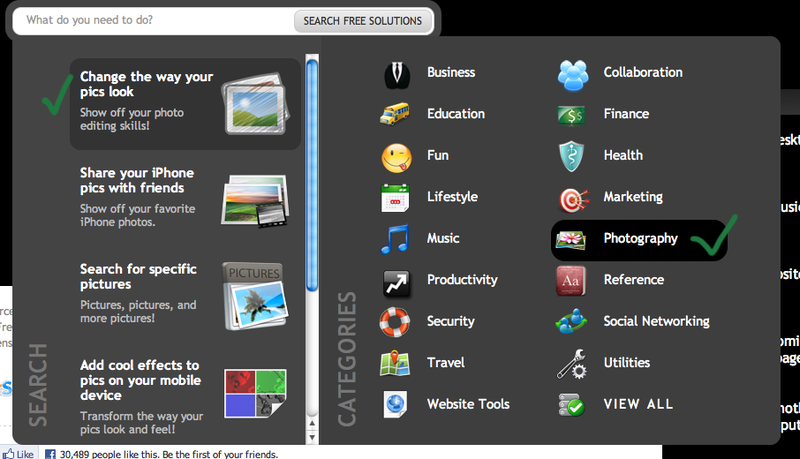 Check it out…..
Sortfolio is a place where web designers can list themselves for free and showcase their work. People and businesses looking for web designers can search by city and budget. Check out a firm’s best work, and save all their favorites for later review. This is a great way to be found on the web and get job offers. Check it out….